AUCTION LOCATION: 3806 SECURITY PARK DR. RANCHO CORDOVA (SACRAMENTO) CA. AUCTION DATE: TUESDAY, OCTOBER 8, 2013- STARTING @ 10:30 A.M.
1998 Akira Seiki V-4A, VMC, Swing Arm 24 ATC, Preforma V4 98VGNO45-127 BT 40 Taper, Chip Conveyor. 2006 Akira Seiki JR-C, VMC, Swing Arm 12 ATC., BT 40. 2007 Akira Seiki JR-C, VMC, Swing Arm 12 ATC., BT 40. 2005 Akira Seiki JR-C, VMC, Swing Arm 12 ATC., BT 40. 1985 Matsuura, VMC VMC 1000vs2, VS2,40CNCTaper, VMC, 40 Taper, serial 40 taper, s/n 850244. 2000 Akira Seiki V-3A, VMC, Swing Arm 24 ATC, Preforma V-3A 00VGN212-318 BT 40 Taper. Akira Seiki V-4C, VMC, Carosel 22 ATC, Preforma V4 DVDX214-643BT-40 Taper. 2005 Akira Seiki V-3A, VMC, Swing Arm 24 ATC, Preforma V-3A EVG98A-712BT 40 Taper. 2008 Akira Seiki V-4C, VMC, Carosel 22 ATC, Preorma V4 PV10080108 BT-40 Taper. 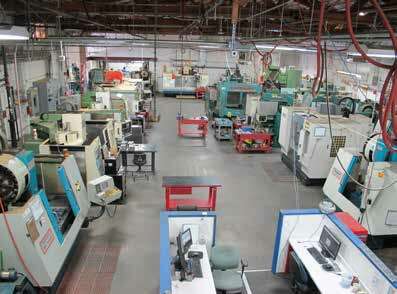 1988 Condor, Gantry CNC Machining Center, 100″ X VMC-B-100 791113 Travel, Swing Arm ATC. 1998 Akira Seiki, CNC Lathe, 10″ Chuck, 14″ Swing. ASL-30 98D055-033 15″ Travels, Fanuc O-T Control, Chip Conveyor. Central Machinery, Lathe, 13″ Swing, 40″ c.c. 1340 8″ Three Jaw & 10″ Four Jaw Chucks. 100’s of BT-40, CT-40 and CT-50 tool holders. 2009 Mitutoyo Optical Comparator, Mitutoyo 14”, PH-3500 R00050901 with Data 200 control. Ingersol Rand Streamline SL-IV 50 Pump, SL IV 50 50 hp pump, 6 x 12 table. Superior, 7.5 HP. Recipricating Air Compressor, Two Stage, Vertical Receiver. Custom Vacuum Forming Machine, 12″ x 30″, Upper Heat. Large selection of mics, calipers, pin gages, height gages, and etc.